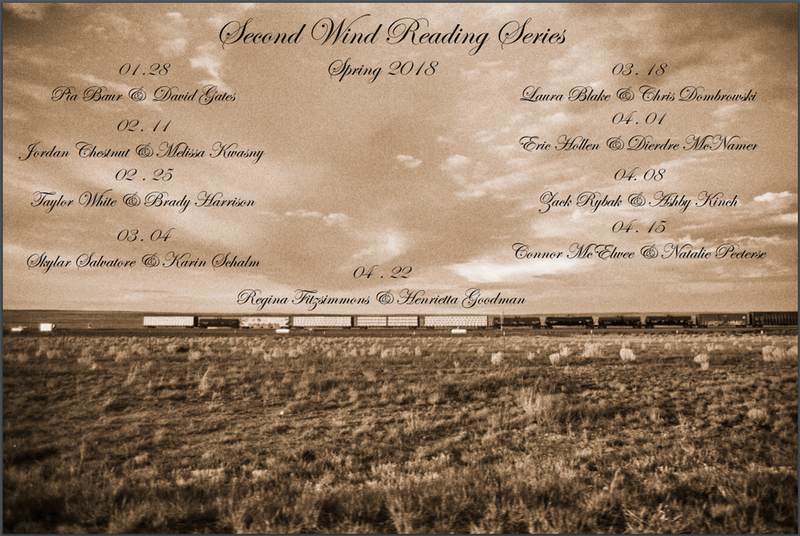 Second Wind is a public reading series pairing students in the University of Montana's Creative Writing MFA program with UM faculty, alumni, and community writers. Jordan Chesnut predicts it'll be "2nd Wind's 2018 rendition of 'poets-theatre'... maybe peppered with Middle English in the introduction by Rachel Smith." Jordan says, "I'm the Valentine's Day Special. Let them know I want them to know that." Melissa Kwasny, a visiting professor for Spring 2018, is the author of six books of poetry, most recently Where Outside the Body is the Soul Today, published by the University of Washington Press in its Pacific Northwest Poetry Series, and a collection of essays, Earth Recitals: Essays on Image and Vision. She co-edited, with M.L. Smoker an anthology of poetry in defense of global human rights, I Go to the Ruined Place, and edited Toward the Open Field: Poets on the Art of Poetry 1800-1959, a book which brings together many of the great prose pieces by the most influential European and American poets from the Romantics to the Symbolists, Surrealists, and Moderns. Widely published in journals, including Willow Springs, Threepenny Review, Ploughshares, American Poetry Review, Gettysburg Review, Orion, Bellingham Review, Kenyon Review, and Boston Review, her poems and essays are also included in the anthologies The Arcadia Project: North American Postmodern Pastoral (Josh Corey and G.C. Waldrep, eds. ), Montana Women Writers: A Geography of the Heart (Carolyn Patterson, editor), Poems Across the Big Sky and New Poets of the American West (both edited by Lowell Jaeger), as well as in West of 98: Living and Writing the American West (Russell Rowland and Lynn Stegner, eds.) A book of nonfiction investigating the cultural history of animals and our clothing, Putting on the Dog, will appear from Trinity University Press in 2018. Listen to "Another Letter To The Soul: The Poetry Of Melissa Kwasny" on Sarah Aronson's The Write Question MTPR podcast. You know you can follow Second Wind on Facebook, right? 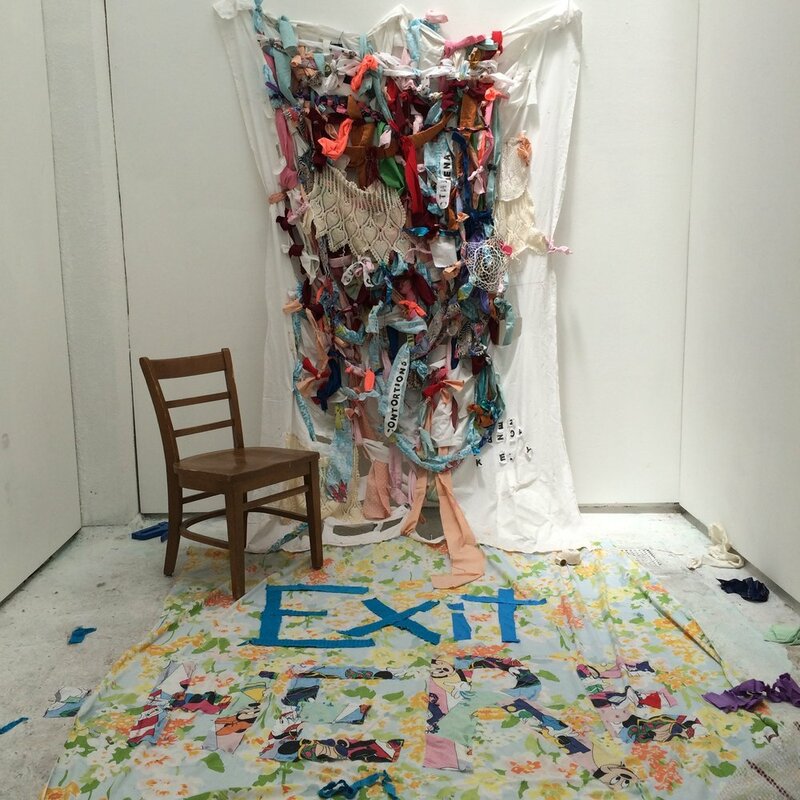 UM welcomes author Gina Ochsner for craft lecture & reading. Sanjiv Bhattacharya delivers his lecture, “The I’s Have it: First Person Structure in Nonfiction,” w/reading that evening.